When you think of how your body is aging, it's probably the most visible changes that come to mind. Maybe you've noticed more gray hair, or your skin doesn't seem as smooth as it used to be. These are just external signs of a series of processes going on within your cells and bodily systems that together constitute normal aging. While this is one of the few experiences all humans have in common, the National Institutes of Health say aging is actually one of nature's least understood processes. Cellular clock theory of aging focuses on the lifespan of cells. Since many human cells do not continue to reproduce indefinitely, this theory suggests that aging is a result of cells hitting their programmed reproductive limit. Parts of cells just wear out. An example of this is the shortening of telomeres, the caps on cell chromosomes. Each time a cell reproduces, the chromosome or genetic material loses a bit of the protective cap until the cell can no longer divide. Oxidative or free radical, stress is a theory that free radicals — the toxic byproducts of cell metabolism or oxidation — are responsible for damaging DNA over time and therefore a cause of cell death. Mitochondria, the engines of cell metabolism, are thought to play a central role because of the disproportionate free radicals they produce. First proposed in the 1950s, this theory led to the current belief that consuming antioxidants in food would counteract this process. Your heart muscle thickens and blood vessels get stiffer with age, reducing the amount of oxygen available to the brain and body. Your breathing capacity declines by as much as 40 percent between 20 and 70 years of age. 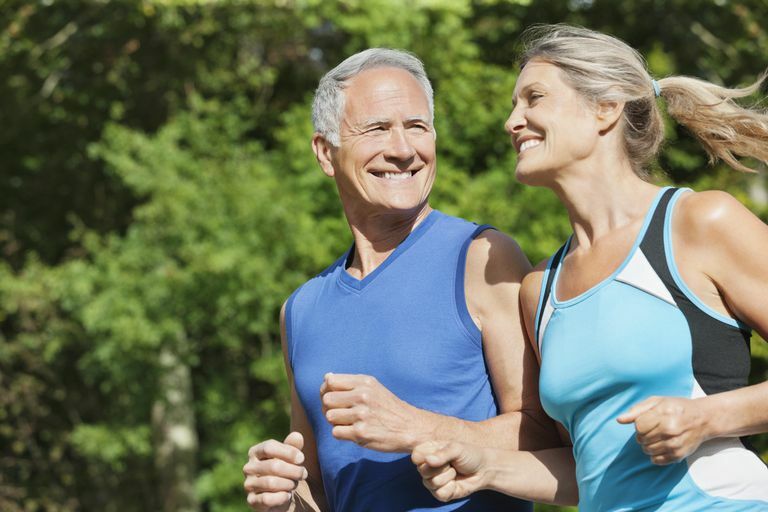 What you can do: Regular, sustained exercise can improve heart and lung function at any age. As you age, you lose nerve cell structure along with some function of individual nerve cells. Adult nerve cells may reproduce, but experts don't understand the extent of this regeneration. Normal aging of your brain does not include the severe decline in mental function caused by diseases like Alzheimer's and dementia. What you can do: Scientists are just beginning to learn how plastic, or adaptable, the brain is. You can improve memory and other brain functions by trying brain exercises and learning new skills, such as dancing or playing a musical instrument. Bone density diminishes on average beginning at age 35, with an accelerated rate of loss in women who have gone through menopause. What you can do: Weight-bearing exercise, like strength training, in addition to walking and running, helps maintain bone density. Between the ages of 30 and 70, muscle mass declines more than 20 percent in men and women if you don't exercise regularly. What you can do: The same regular exercise that slows bone loss will help maintain muscle mass. Aging Under the Microscope. Public Information Booklet. U.S. National Institutes of Health, National Institute on Aging. Mullera, et al. Free Radical Biology; Medicine 43 (2007) 477-503. Hearing Loss and Older Adults. Public Information Sheet. U.S.National Institute on Deafness and Other Communications Disorders. The Beginning of Something New-The Baltimore Longitudinal Study of Aging. Public Information Sheet. U.S. National Institutes of Health, National Institute on Aging. Why and How do we Age? Public Information Sheet. American Federation for Aging Research.